We are leading manufacturer and supplier Acrylic Partition Plate and Acrylic Crockery. We feel proud to introduce ourselves as the well-known manufacturer and supplier of 4 in 1 Oval Acrylic Plate. The offered four in one oval acrylic plate has four partitions for serving separate food items. Our supplied four in one oval acrylic plate is highly appreciated and acclaimed by the clients, due to the ease of serving food and chapatti. We are regarded as the eminent enterprise, sincerely engaged in supplying a vast range of 3 in 1 Square Portion Acrylic Plate.These items are vastly appreciated for its premium quality, accurate dimensions and durability compared to other industry products. Our collection is vastly used in national and international markets. The items offered can be customized by our workers as per the various requirements of our valued clients. We are one of the well-known manufacturers and suppliers of Acrylic Portion Plate. 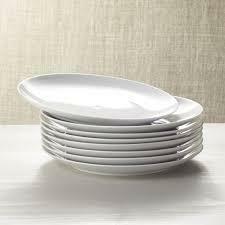 The offered acrylic portion plate is properly portioned to accommodate separate food items. Our supplied acrylic portion plate is highly acclaimed and appreciated for hard wearing and durable fabrication. 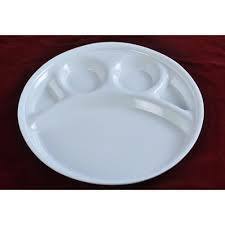 The offered acrylic portion plate is very affordable in selling price. We are one of the widely acclaimed manufacturers and suppliers of Acrylic Three Portion Plate. 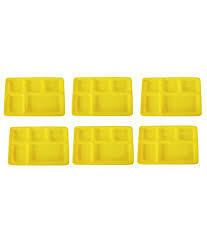 The offered acrylic three portion plate is a unique fabrication for serving multiple food items. Our supplied acrylic three portion plate is commonly used at homes, hotels and restaurants. 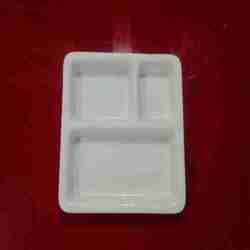 The offered acrylic three portion plate is very economical in rates. We are one of the leading manufacturers and suppliers of Acrylic Eight Portion Plate. 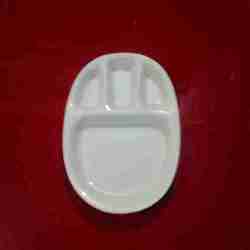 The offered acrylic eight portion plate is specially designed for serving food at temples and religious places. Our supplied acrylic eight portion plate is designed to accommodate several food items such as dal, rice, vegetables, chapatti and roti. The offered acrylic eight portion plate is very affordable and cost effective.